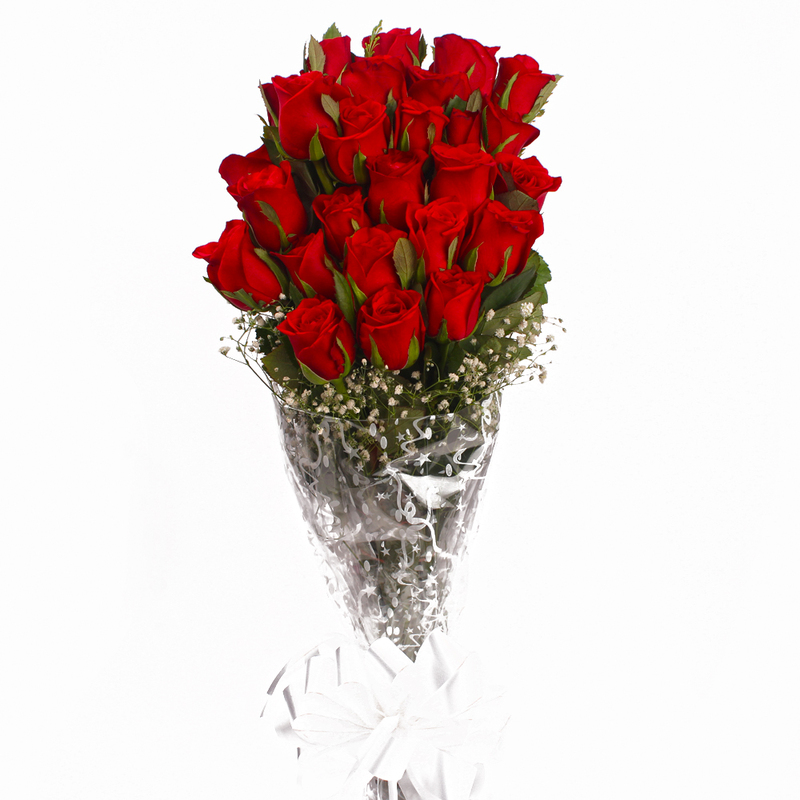 Product Consist : 25 Red Roses with green fillers in Cellophane Wrapping with Ribbon Bow on it. 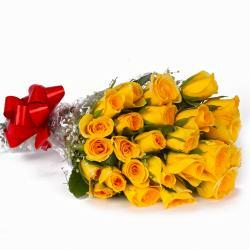 Red Roses are popular for gifting from a very long time. They are considered the symbol of love. 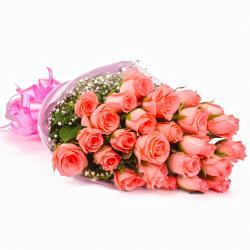 Roses have meanings as per their color and number. 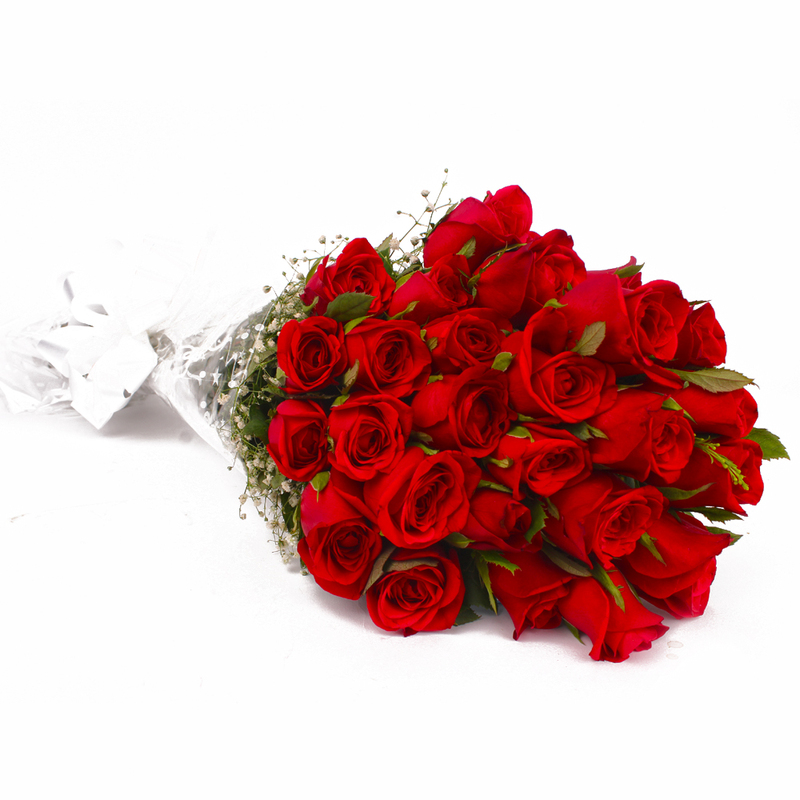 Red roses portrays true love and admiration. 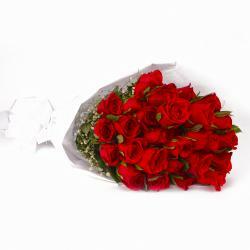 This gift item is a bunch of twenty five stems of red roses tied with ribbon. 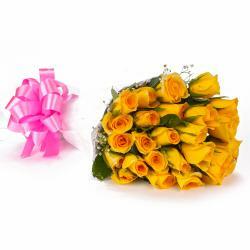 This bouquet of roses is further adorned with lots of fillers. So if you are willing to express your wordless emotions towards someone you adore on special occasion like Birthday, Anniversary, Retirement Gifts, Easter, Valentines Day, Missing You this gift item is perfect for you. Product contains : 25 Red Roses with green fillers in Cellophane Wrapping with Ribbon Bow on it.